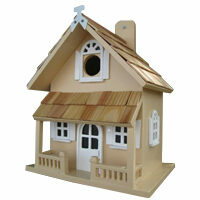 Decorative birdhouses are a delight for bird lovers and birds alike. 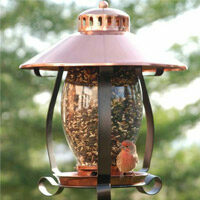 Ornate architectural designs and charming details add personality to your landscape while still providing a functional safe haven for backyard birds. 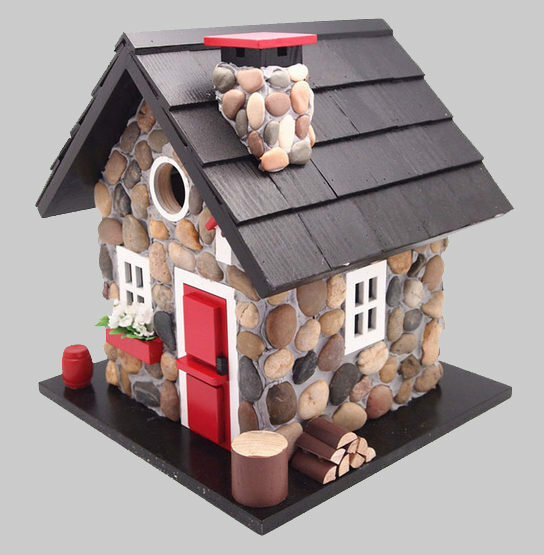 The combination of materials used - which includes wood, vinyl and rock siding, verdigris/copper roofs, as well as options with pine, cedar and cypress shingles - and carefully thought out details are what makes decorative bird houses so popular! 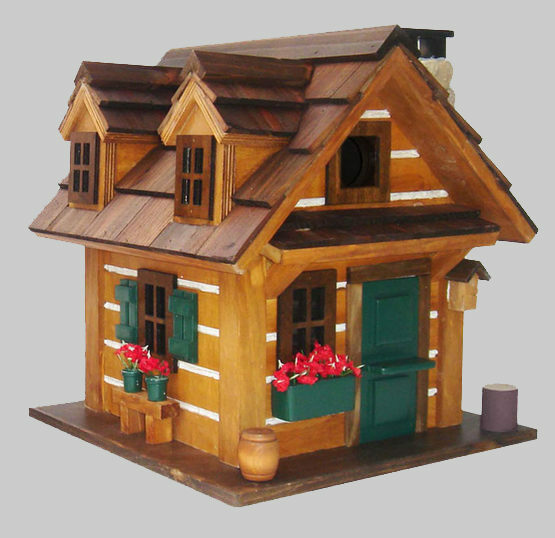 Rustic cottages and log cabin bird houses feature natural wood finishes with earth tone door and shingle colors, flower window boxes, small log benches, and even their own tiny bird houses out front. In contrast, brightly colored beach, lake and lighthouse designs are completed with nautical themed wood cutouts on the doors and trim, life preservers mounted to walls and pebbles used to frame the structures. 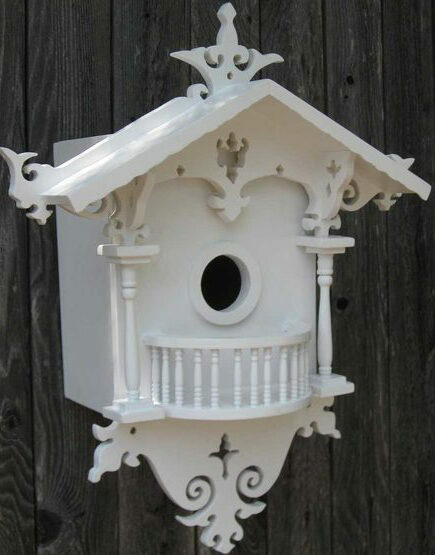 Precise attention to detail is even more evident in the construction of Victorian style decorative bird houses through the incorporation of authentic victorian gable designs and gingerbread trim used around windows, peaks and doors. 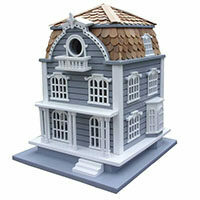 This attention to detail makes trying to pick just one decorative birdhouse design difficult, especially because no two are the same and each has its own personal touches which is what makes them so special and unique! 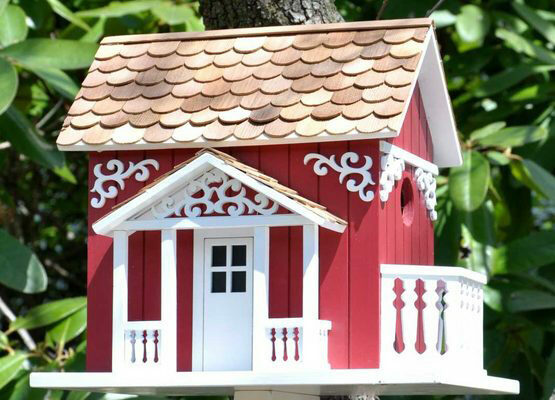 Before selecting the location of your birdhouse, start by getting to know the birds in your area and determine their preferences. 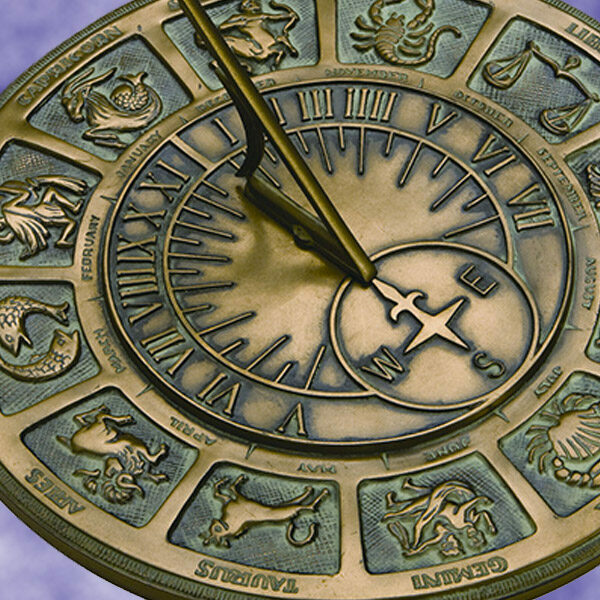 Some species of birds are drawn to partially shaded areas, while others prefer grassy fields with wide open spaces. 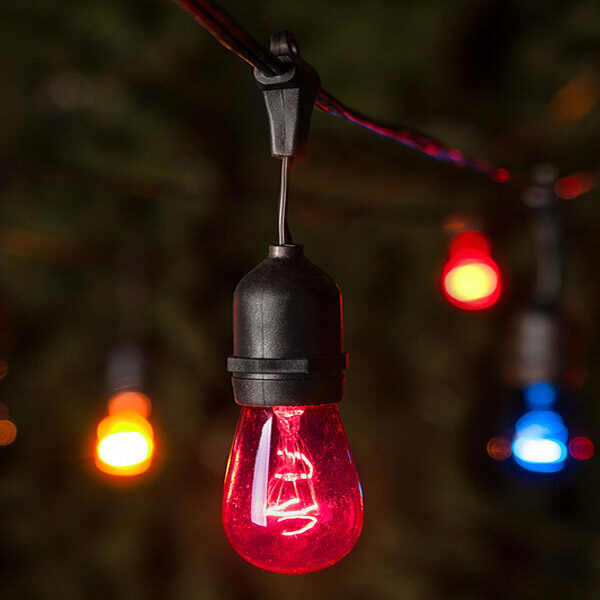 While preferred surroundings may vary from bird to bird, one thing remains the same - birds need to feel safe in order to nest and call your yard home. 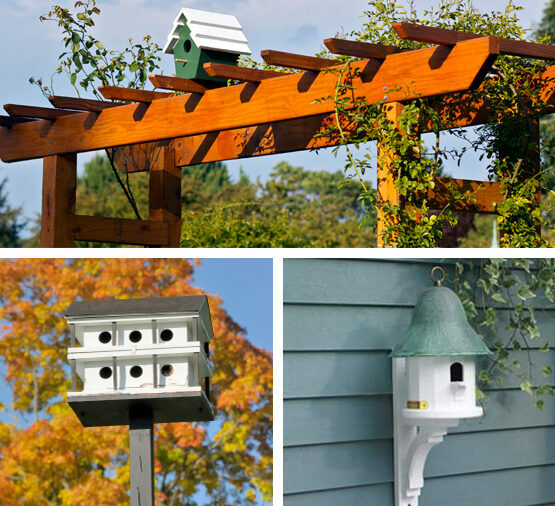 To help keep birds safe, houses should be installed in a way that is difficult for predators to access. 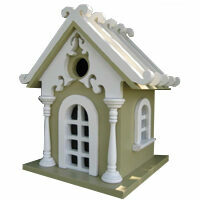 Decorative bird houses are designed to work well on a variety of surfaces. 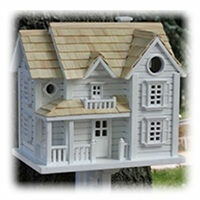 Bird houses can be secured to a post via a mounting plate, hung from a tree branch, or mounted into the trunk of a tree. 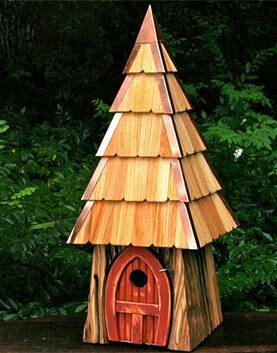 Large birdhouses should be mounted to posts or another flat, sturdy surface which can bear the weight and ensure bird safety. 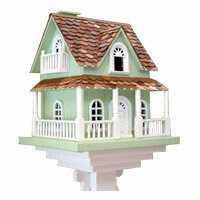 Bird houses secured on top of posts are also better protected from predators than those mounted on tree trunks. 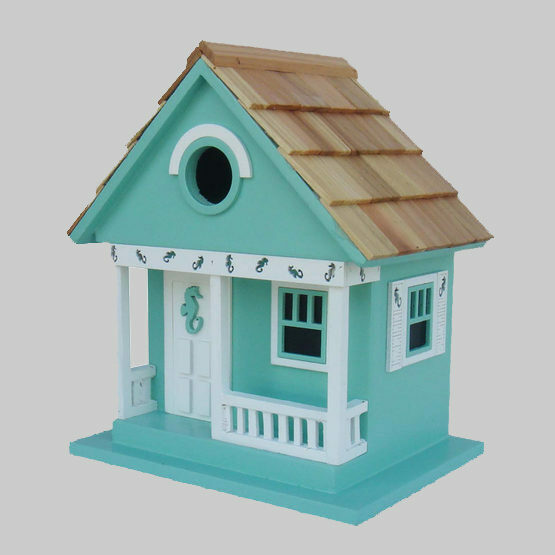 The more nature you can surround your decorative birdhouse with while still keeping it in a safe location, the happier your birds will be! Purple Martin - Because Purple Martins like to nest in colonies, their homes are built with multiple openings and rooms. 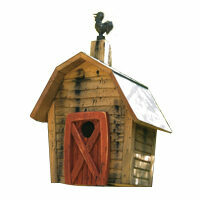 Choose an aluminum house for sunny regions and a wooden bird house for moderate climates. 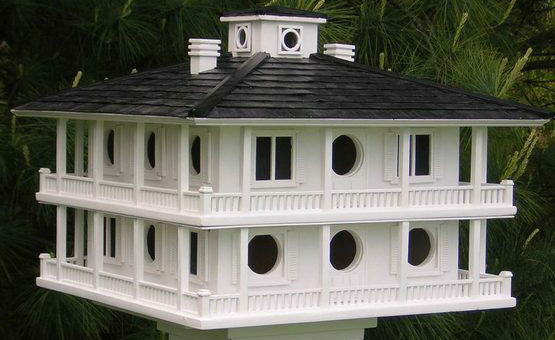 Purple Martin houses are best placed in a centrally located area of the yard that is at least 40 feet away from human habitats and trees. Flycatcher - Known for their aerobatic displays as they catch insects in the air, Flycatchers prefer high perches where they can easily spot and catch their food. Flycatchers appear to prefer houses with at least 1.6 inch entrance holes, but no bigger than 2 inches to prevent predator entrance. 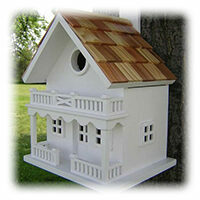 Position Flycatcher houses in an area where the flight path to the entrance will be unobstructed. 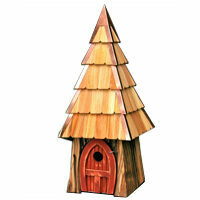 Sapsucker - A member of the Woodpecker family, Sapsuckers need houses that are atleast 12 inches tall with no perches at the entrance holes as these would aid predators. The process of excavating cavities encourages nesting behaviors in woodpeckers, so stuffing the bird house about half full with wood chips will discourage other species while enticing Sapsuckers.